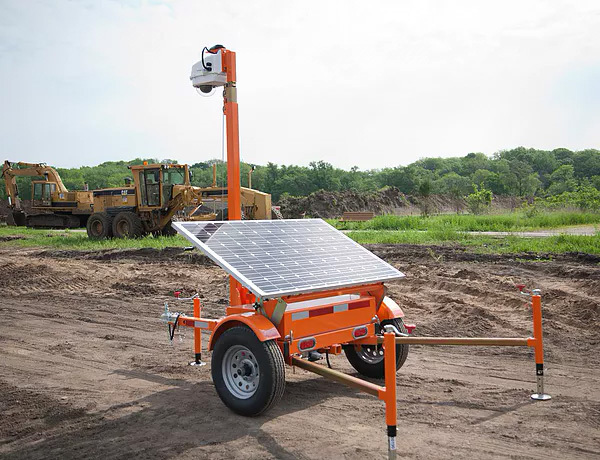 The Worksite Hawk is our all-in-one, mobile solar powered camera system. 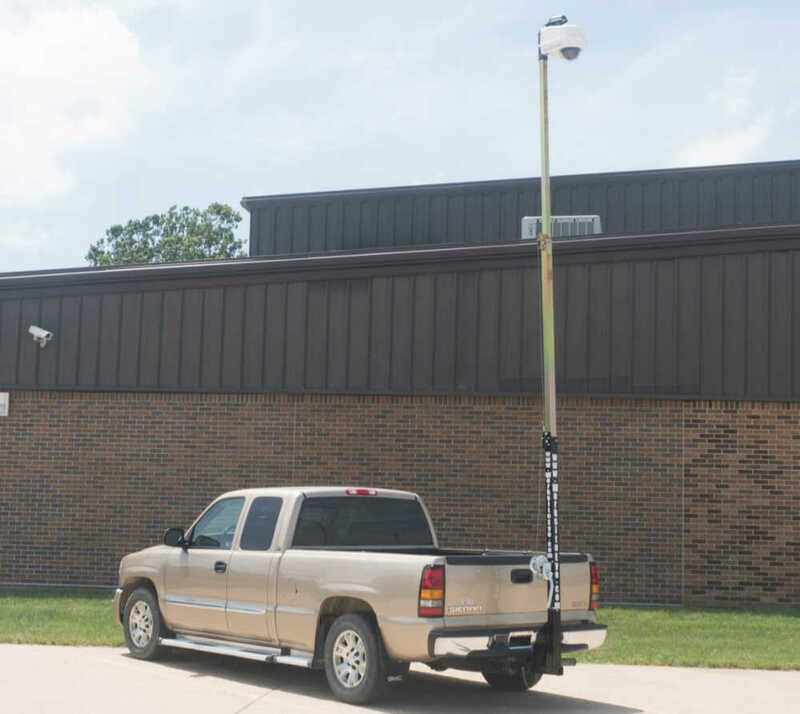 Whether your main concern is security or checking on progress at the job-site, the Worksite Hawk is the answer. The Worksite Hawk allows you to access the camera live, anytime, as well as play back recorded footage. This truly is the next step in taking control of your worksite. Check on progress, order delivery, workers’ safety and issues all from your computer or mobile device. Alerts within 30 seconds of an event so you can immediately view the footage from your mobile device. Call us to learn how to monitor your worksite and secure your equipment. 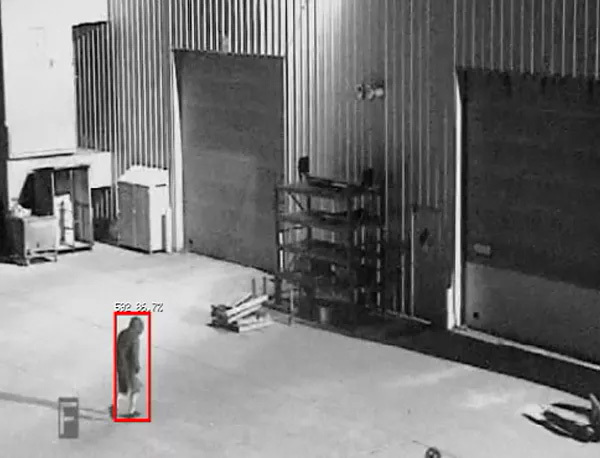 Crossroads Manufacturing has the mission of using the latest technological advances to help businesses secure their assets, monitor their worksites, and eliminate loss due to theft and vandalism. 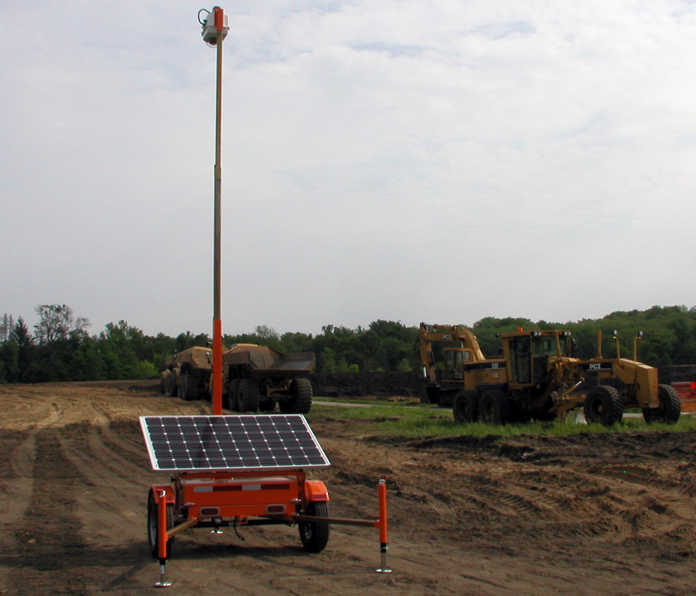 With over 15 years’ experience in mobile solar equipment, we offer you the Worksite Hawk and Worksite Eye. 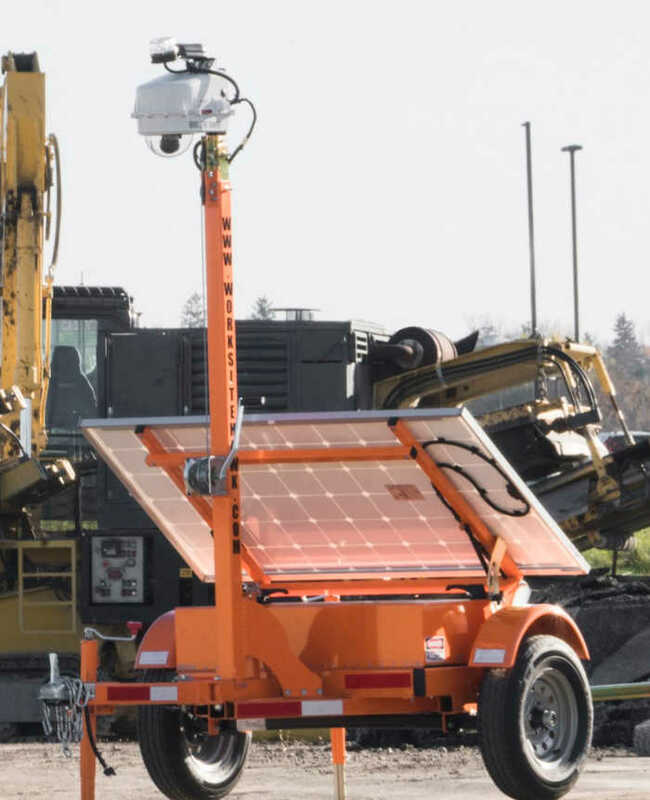 Our products feature remote camera access, allowing you live viewing of the monitored area anytime from anywhere and video analytics to give you the best opportunity to secure your jobsite and adapt to your changing needs. We offer an easy-to-use, intuitive, software program that can be viewed on your desktop, laptop, or mobile devices. The Worksite Eye is a perfect solution for all of your day-time monitoring needs. The Worksite Eye attaches directly to the receiver hitch of your vehicle, or can be adapted to attach to your job trailer. The Worksite Eye can remain there as long as you wish, even when you need your hitch for towing. It is powered by your vehicle and easy to operate. Meant help keep an eye on job-sites during hours of operation, the software doesn’t offer night security functions. 308 & 309 S. Ely St.